Woolworths Holdings Limited (WHL) is pleased to announce the 10th anniversary of its Good Business Journey (GBJ), a flagship South African sustainability programme that was launched in 2007 by Simon Susman, now Chairman of WHL, as a commitment by Woolworths to make a difference to people, communities and the environment. The GBJ was a first of its kind in South African retail whereby sustainability became a strategic platform for the business with specific public targets. Over the last ten years the GBJ has set new standards across its eight focus areas of transformation, social development, health and wellness, ethical sourcing, sustainable farming, waste, water and energy. Last year, the company updated its GBJ goals through to 2020 including embedding the programme into the Group’s Australian businesses which now account for over forty per cent of turnover. “Sustainability is the heart of what we do and over the years’ experience has shown us that as Woolworths, alone we cannot solve the challenges around sustainability – we need support and input from our stakeholders and partners. With this support over the years we have been successful in implementing programmes like Farming for the Future, Fishing for the Future, responsible cotton sourcing and energy & water efficiency. This milestone is a thank you to our partners and stakeholders who have enabled us to make this journey a success, and we look forward to achieving our GBJ 2020 commitments. MySchoolMyVillageMyPlanet which raised R393m in the last 10 years. 1.2m supporters. 8127 beneficiary schools, NGOs and charity partners. Over 600 primary and secondary suppliers are part of the Woolworths Farming For the Future programme. Only whole free-range eggs are sold in our stores and over 95% of our egg ingredients are free range. R2.4bn in value created over the life of our Black Employee Employment Share Ownership Scheme and R332m in dividends distributed to beneficiaries over the life of the scheme. 42% relative reduction in energy usage and over 50% relative reduction in water usage in our SA stores. We were the 1stSA retailer to remove sweets from checkout aisles. R27.7m donated in 12 years to the EduPlant programme. 44 Enterprise Development suppliers currently working with Woolworths. 381 jobs created through the Clothing Bank programme. 33% of our cotton now from sustainable sources. Over 10m PET bottles recycled into fibre for use in our jeans, t-shirts, reusable fabric bags each year. Raised R10.7m for charity through sale of our reusable bags. 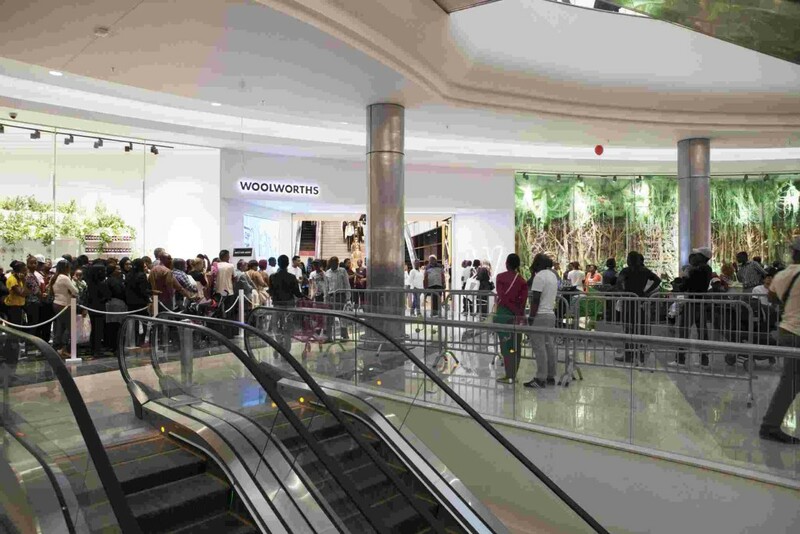 Since inception of the programme, Woolworths has won a number of international awards for the Good Business Journey including the ‘Responsible Retailer of the Year’ award which Woolworths received three times. “With hindsight, 10 years ago when we started the programme we were thinking mainly as a South African business developing a strategic programme for South Africa. We are truly humbled at the international recognition we received for the GBJ and it’s something we didn’t foresee at the time. As we look towards our GBJ 2020 and even 2030 commitments we are truly encouraged by the impact and success that GBJ continues to have on our operations and communities both in South Africa and Australasia”, concluded Moir.